The MagnaValve® reduces labor, media and energy cost while adding control and reliability to shot peening and blast cleaning processes. 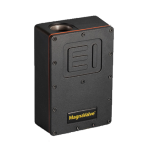 The MagnaValve has rare earth permanent magnets for normally closed operation and an electromagnet for controlling media flow rates. 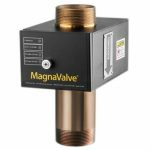 With power applied, the magnetic field is neutralized and media is allowed to flow through the valve. 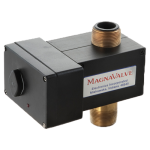 When no power is applied to the MagnaValve, the permanent magnets stop all flow. If the power is interrupted for any reason, the permanent magnets securely hold the media, thereby virtually eliminating media leakage.